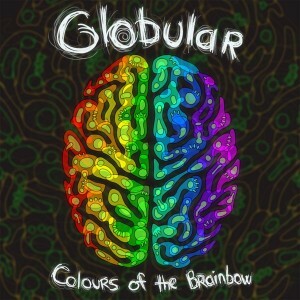 Globular is an authentic psychedelic dub project from Bristol, a city in the southwestern part of the United Kingdom. Colours Of The Brainbow, released by the Gliese 581C netlabel, is his first formal release. Paying homage to the likes of Ott, Shpongle, and Younger Brother, Globular composes deep dubby soundscapes crafted with love and wide musical experience. Prepare to drift into an otherworldly state of bliss with these exotic downtempo gems. MP3 Download | FLAC Download | WAV Download · Download count: 22,373.
wav archive 4 track damaged!!! Hey I really like this spanish-arabesque. His = Globular’s, he shared a lot of his stuff on last.fm and soundcloud, but never formaly released any tracks before. Spayn/Paul, I uploaded a new WAV package… let me know if the problem persists! Basilisk, thank you, everything is fine! Nice One! Thx a lot for sharing this beutiful music. WOOOOOOOOW =D This made my brainbox melt! Awesome, this is some epic dub!!! Keep em comin! This is completely gesh-tunkenflaut…. or however that is spelled! The most amazing release I’ve heard on ekto so far!! Awesome! brilliant fusion of psychedelic fun for the ears and body. Super dig that guys, good work, especially track 3 that proper took me somewhere! Really good stuff… HeartBeat sound (track #1), one of the best i never heard !!! Its amazing to see such quality in all of Globular’s stuff, especially since I feel that “A Self-Fulfilling Prophecy” is even better. I certainly look forward to hearing more from this artist in the future. yeah! this is just awesome! It is really awesome and relaxing the mind. This is one which I was looking from years. Please generate some more like these. Many Many Thanks for generating such a relaxing music…. Respect your brain and heart………….